Narrowly swerving to avoid a jail sentence, one lucky Layou man with a criminal record managed to walk out of court a free man on Wednesday, unlike his 20-year-old counterpart. 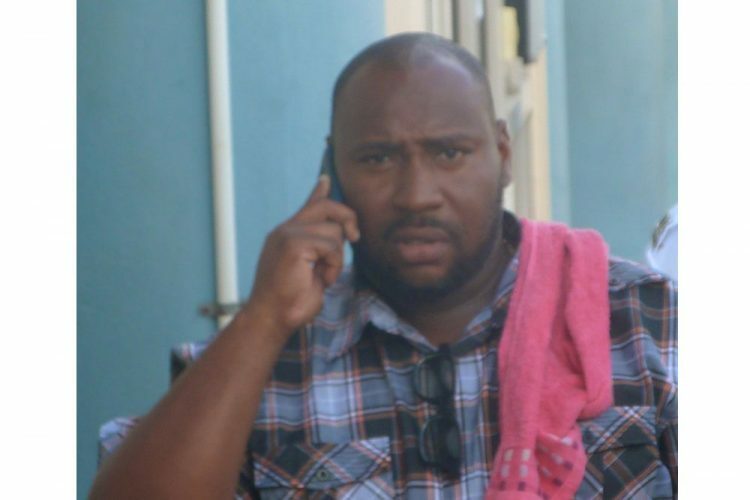 Iso Lynch, who has previous convictions for deception, including an instance in 2016 when he impersonated a police officer, was brought to court in relation to three traffic offences, said to have been committed on November 17 of last year in the area of Chauncey. Charged with driving while disqualified from holding or obtaining a driverâs permit, driving without a permit and driving without a licence, Lynch pleaded guilty before Chief Magistrate Rechanne Browne-Matthias. Defence lawyer Roderick Jones rose to mitigate for Lynch and started by admitting his clientâs past mistakes. Jones stated that Lynch had âtraversed these halls on many occasions,â with regard to âmost serious offences,â acknowledging that âhe is well known to the court.â He then stated that since this time, Lynch had made a âconscious effort to turn his life around,â and has been working on the bridge in Spring Village since it was damaged. The lawyer said that at this job, Lynch was told that he had to work late on several days and the minibus that was to take them home afterwards had technical trouble. Then, in order to get from Spring Village to Layou, where he lives, his client âobviously made an error in judgmentâ and drove the said car to his work. Apparently, in order to ascertain whether his girlfriend, who had called him several times that day complaining of medical issues, needed to go to the hospital, Lynch was driving to her house when he was caught. âTo err is humanâ, said the lawyer and requested that the justice system âencourage Mr Lynch in the straight and narrow path.â At the end of his speech, the lawyer asked that âeven while we are still in the festive season, it might be an opportunity to reprimand and dischargeâ Lynch instead. The Chief Magistrate told Lynch that due to the eloquent representation by his lawyer, she would not impose a prison sentence on him, but could not ignore the seriousness of the offences. For driving while being disqualified from obtaining a driverâs permit, Lynch was fined $4,000, to be paid forthwith, in default of which he would spend six months in prison. Two other fines of $750 and $500, to be paid by 31 January, were also imposed for the other two charges. His lawyer then said that his client had some money, but not close to that amount, to which the Chief Magistrate replied that that was between him and his client. Remaining on the phone for most of the duration of court, just before the court finished for the day, Lynch was able to gain assistance from his brother and walk out of court a free man.